Posted on October 15, 2017 at 9:19 pm. 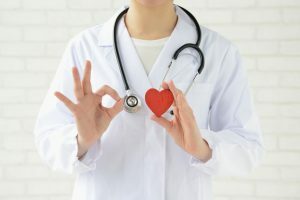 I recently came across an article regarding the use of interpreters in the medical field and its impact on the patients’ well being. Sometimes when resources are not available or when medical providers are not aware of the services provided by their institutions, there is a misconception that anyone who is bilingual can render a faithful interpretation. Not providing a qualified or certified interpreter to limited proficiency English speaking families could have terrible consequences. It could lead to lawsuits against hospitals and clinics, but it could result in the death of a patient. Why does a mother have to go through the terrible ordeal of losing her baby just because a clinic was not able to provide a qualified medical interpreter? A story published by the Frying Pan News describes how a woman had been trying to get pregnant for three years. After going to a doctor who did not speak her language, she ended up having a miscarriage because she thought the medicine that the doctor prescribed was a prenatal vitamin. Instead, the medicine she took caused her to lose her baby. We need to provide qualified interpreter services to all limited English speaking patients to avoid stories like this one. After having so many incidents where interpreters were not provided and the outcome of those encounters had been catastrophic, many hospitals and clinics from all over the United States are offering interpreting services to limited proficiency English speaking families. The medical providers are facing a huge task of making sure that the interpreters they are using are actually qualified. Hospitals, clinics and agencies must make sure that the interpreter they hire or contract should truly have the capability not only to speak the target language, but to convey the message without omitting, changing or adding anything. An interpreter should at least have some training in medical interpretation or the interpreter should be certified by one of the two main certification bodies, the National Board of Certification for Medical Interpreters (CMI) or the Commission for Certification for Healthcare Interpreters (CCHI). There are many options available to hospitals and clinics to provide interpreting services to their limited English proficiency speaking families. The ideal option is when the hospital is able to get an onsite interpreter because the communication flows really well between patient and the provider. The body language and cultural issues are not lost during the interpreting session. When an onsite interpreter is not available, medical providers have the options of using telephonic interpreters or video interpreters. If a hospital or clinic does not have an Interpreting Services Department, it contract with an agency that will provide the services when needed. Statistics show over and over that having a trained and competent interpreter improves the quality of care, reduce misdiagnoses, lower costs and have greater patient satisfaction. It is important that limited English proficiency speaking families have access to good quality care and be able to communicate with the medical providers. It is imperative that hospitals, clinics or any medical provider use qualified and competent interpreters for their limited English proficiency speaking patients and avoid terrible stories like the one described above.